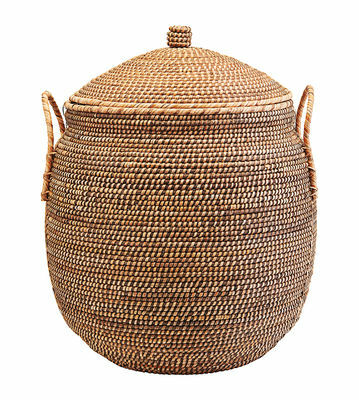 Azeema is a collection of ultra-trendy baskets for elegant storage! 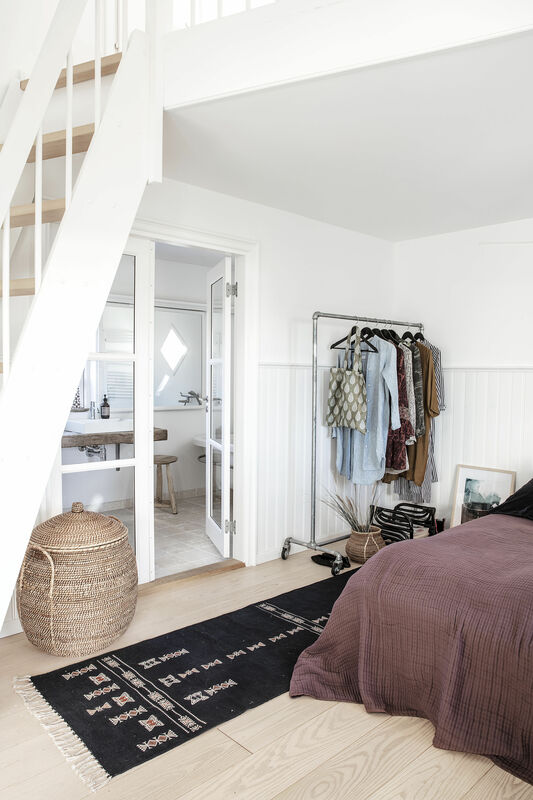 The different baskets come in four sizes, allowing you to store all your little everyday odds and ends, as well as your bigger items so as not to clutter up your home. 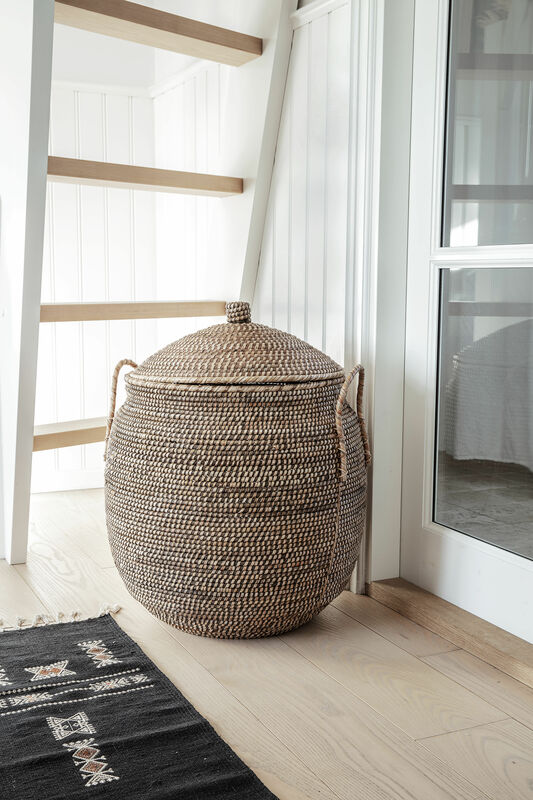 Made of natural rattan, these baskets have their own natural charm as well as soft, warm lines. 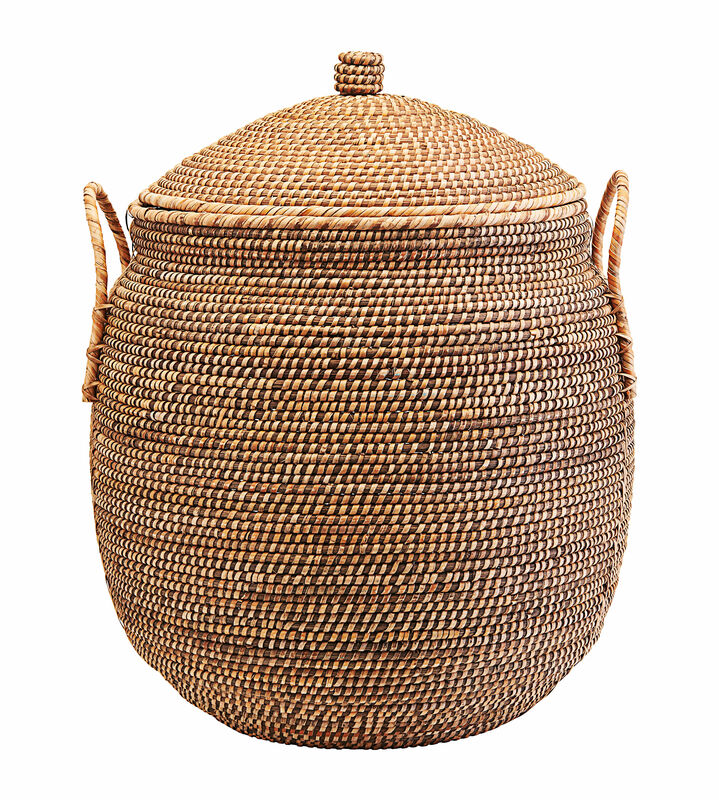 The largest of the Azeema baskets is a real must-have! Thanks to its generous size (Ø 53 x H 64 cm), it’s perfect for storing all types of trinkets, laundry or toys. It’s ideal placed in your bathroom, a children's room or in an office to optimise your storage space while bringing a nice decorative touch! Very practical, it has handles on each side so you can easily move it to suit your requirements. What’s more, thanks to its cover, you can hide what’s inside for a more aesthetic look.